The 'black box' of an aircraft is built to be virtually indestructible. But let's start by dispelling one myth about black boxes. 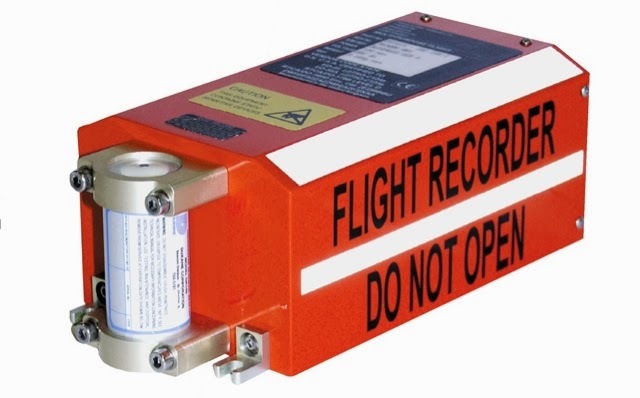 Flight data recorders (FDR) as they are officially called, are not black, but coloured bright orange so that they an be found easily after an aviation accident. Just like life buoys and life jackets. Aircrafts carry two black boxes. The flight data recorder continuously logs details like the plane's speed, altitude, time of day and engine parameters. The other unit records the pilots' voices in the cockpit. withstand low air pressures at altitude should the aircraft plunge into the ocean. Because of this, black boxes require very strong casings. Earlier models were simply made from stainless steel, but now housings also incorporate titanium, as well as an inner layer of heat-resistant material.